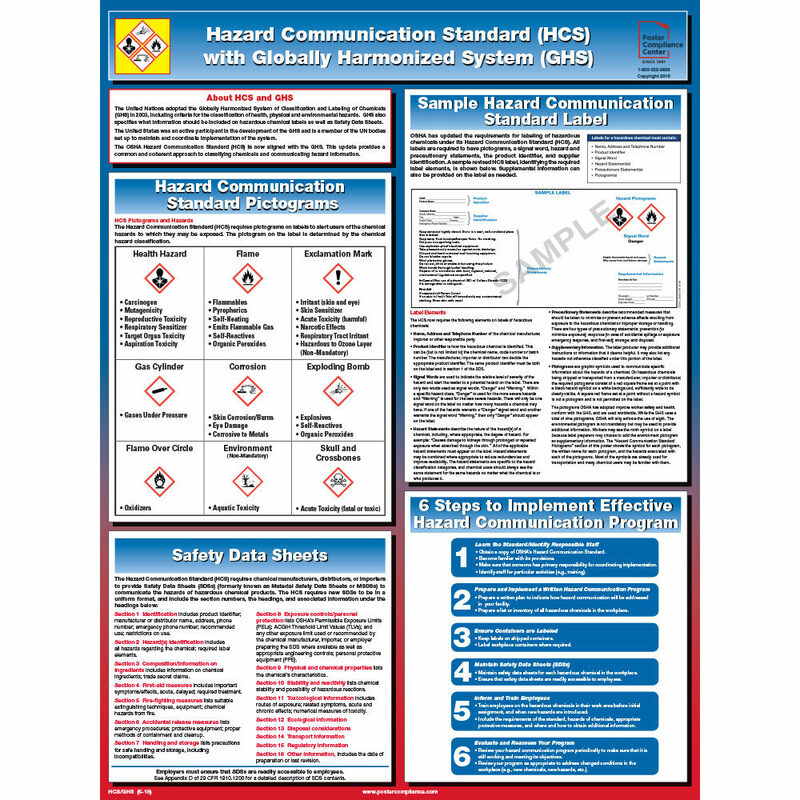 This new instructional workplace poster reflects the alignment of the OSHA Hazard Communication Standard (HCS) with the Globally Harmonized System (GHS), which was adopted by the United Nations in 2003. Together, the HCS and GHS provide a common and coherent approach to classifying chemicals and communicating workplace hazard information. 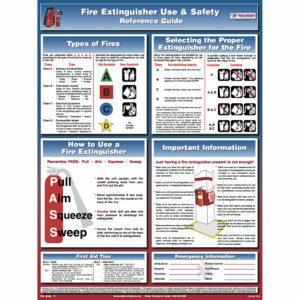 The first quadrant of the poster features Hazard Communication Standard pictograms that must appear on labels to alert users to the hazards they may be exposed to on the job. Each pictogram includes an image and a description of one or more chemical hazards that can cause bodily harm or even a fatality. 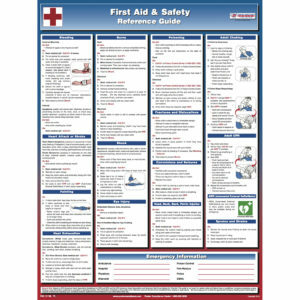 The Safety Data Sheets (SDSs) quadrant describes how the HCS requires chemical manufacturers, distributors, and importers to provide SDSs in a uniform format to communicate to employees the dangers of hazardous chemical products. The quadrant shows the required format for these sheets, including section numbers, headings, and associated information. The next quadrant depicts a sample HCS label and full descriptions of all the elements that must appear on a hazardous chemical label, such as a signal word, one or more hazard statements, and pictogram. The last quadrant outlines 6 steps to implementing an effective Hazard Communication program and provides a breakdown of the essential tasks associated with each step. These include becoming familiar with the provisions of the HCS, maintaining Safety Data Sheets, and evaluating and reassessing the program over time. 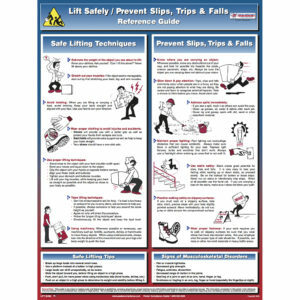 For questions about our posters, call Poster Compliance Center at 800-322-3636.